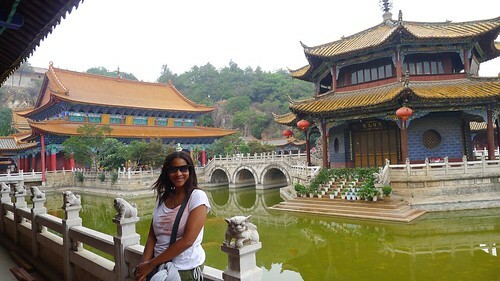 My first stop in China was the city of Kunming. It’s a proper city with skyscrapers, malls and lots of people, but it still managed to have some charm and lovely park spaces. 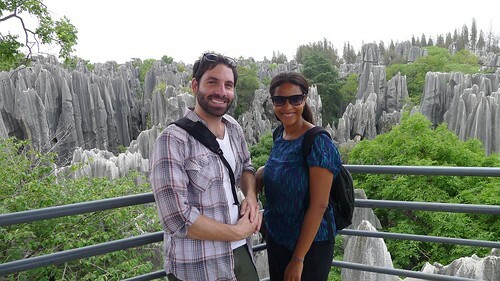 The main attraction for tourists is probably the Stone Forest outside of Kunming, but I think the city itself has several things to offer and was a great jumping off point for my travels through China. 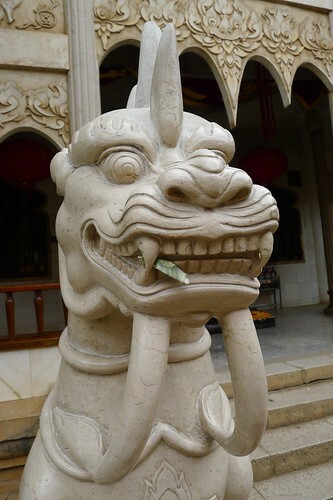 I met Blake at our hostel on Jinbi Road, a great location as it’s near lots of shops, restaurants and is lively at night. We walked around for a bit and stumbled upon a hotpot and dim sum restaurant below our hostel. They had a picture menu and after a few rounds of charades and even trying to write our order in Chinese we received three of the five items we ordered. 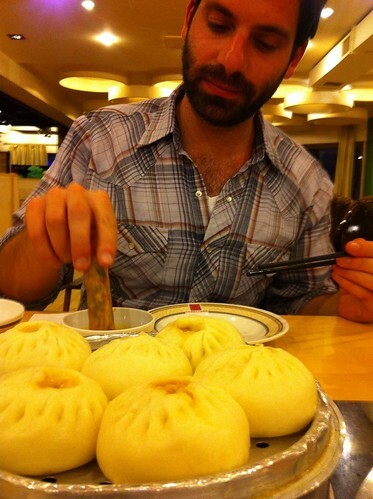 For our first meal in China it was amazing. So good we went back the next day, and I went on my own once more before we left Kunming. 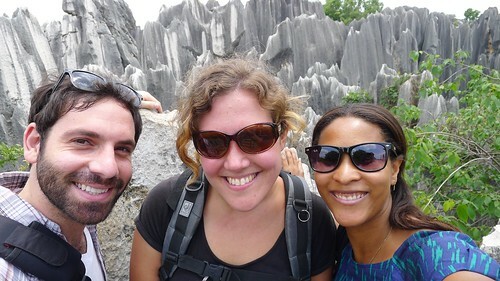 The next day we went to the Stone Forest wit Michelle, a traveler from the Netherlands I’d met at the airport and shared a cab into town with. It was better than I had anticipated and a nice way to spend a sunny day. 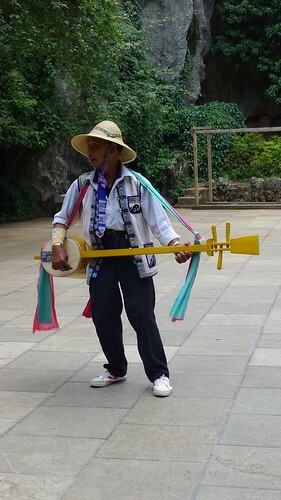 The Chinese are very organized when it comes to their tourism attractions. 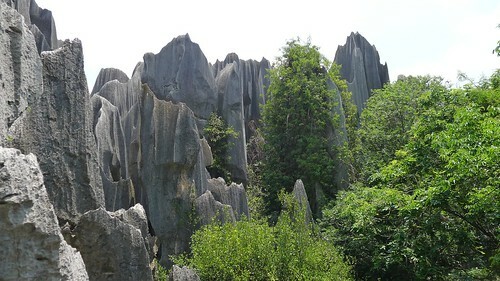 It was very simple to take a bus from Kunming’s Eastern bus station to the Stone Forest. We were dropped off at a very modern bus terminal near the site and walked to the ticket booth to purchase admission tickets and tickets for the tram to the entrance. 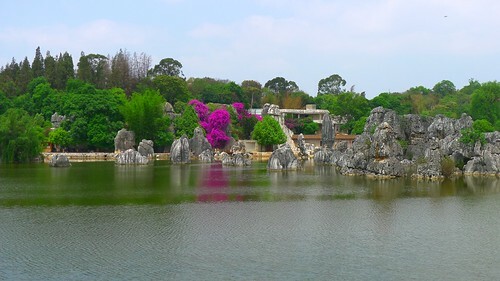 Upon entering the stone forest you are greeted with an almost glass like lake. 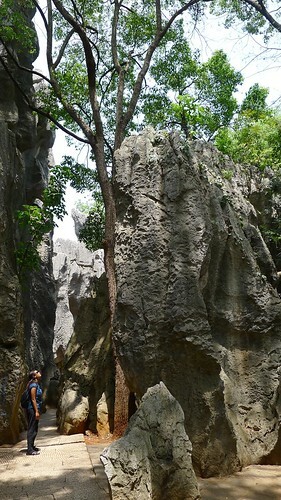 The limestone rock formations look like a petrified forest and are into woven with trees, streams and grassy areas. 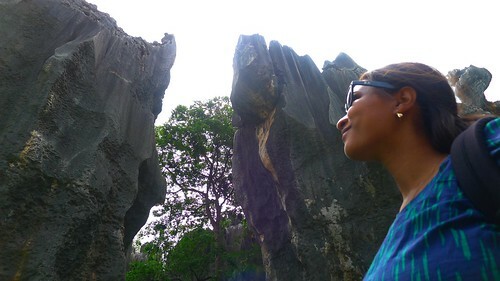 We had a blast hiking through the narrow walk ways and up and down paths leading to spectacular views and vistas. 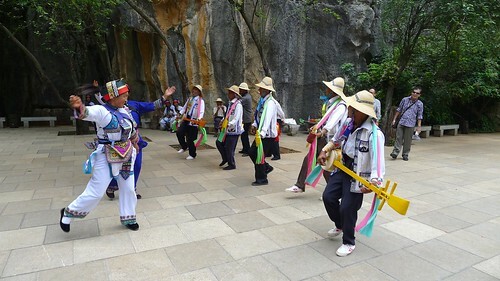 We heard some music and followed the sound to the “Natural Dancing Area” where local men and women were playing traditional music and dancing. 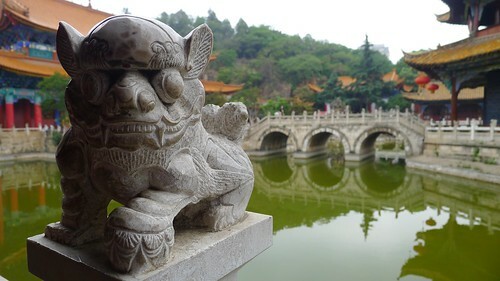 The next day Blake and I walked to the nearby Buddhist temple of Yuantong. 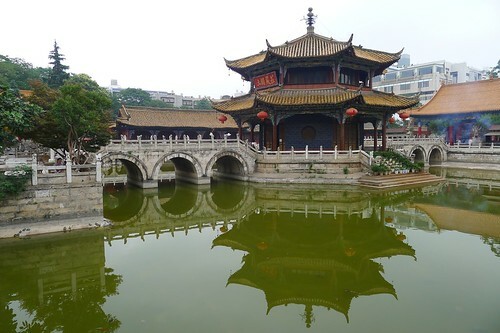 Built in the 8th century it’s over 1200 years old and still frequently used by Kunming’s citizens and visited by many tourists. 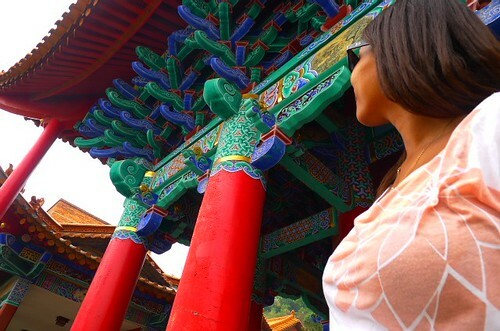 I especially enjoyed the carvings, statues and vibrant colors of the temple and building surrounding it. 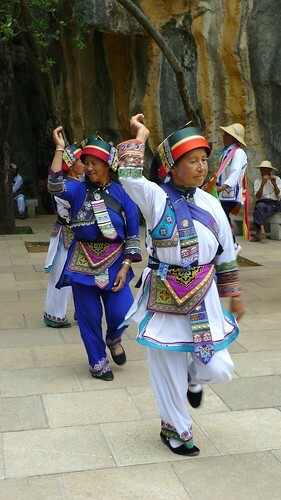 This was the height of cultural sites in Kunming for us. We spent the rest of the time walking around, trying to find places to eat, enjoying the park spaces, watching the elderly workout with group dancing and even went to see the Avengers in 3D IMAX.